Here's what came for me in the mail yesterday - a beautiful bundle of fat quarters from my sister Margot Languedoc of The Pattern Basket. 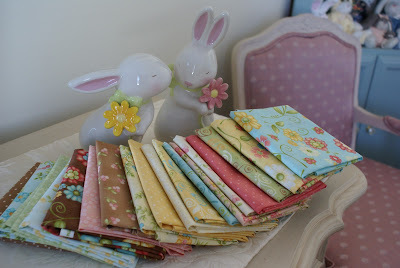 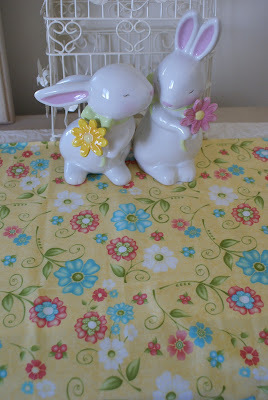 This is her new fabric line called Butterfields and you can see it here on her blog. I will be busy this weekend deciding what to make with this gorgeous fabric (maybe something with bunnies). 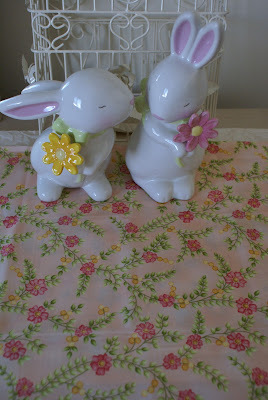 Oh, nevermind, I love them all - thanks Margot!